Intuitive Messages From Your Inner Wise Woman are spirit guided messages to help you identify and access the Inner Wise Woman within you. 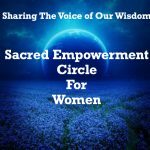 Your Inner Wise Woman is the sacred feminine energy identified as the higher beings of departed loved ones, angels, ascended masters or goddesses. Within these spirit guided messages, we will identify the Wise Woman or Women that is currently guiding and watching over you. Your Inner Wise Woman will provide the wisdom you currently seek to empower your personal journey of awakening intuition with greater self awareness, confidence, and spiritual connection. Merge – Together we will merge our energy to center ourselves to connect with your Inner Wise Woman. Know – As we connect with your Inner Wise Woman, the energy of knowing, or intuition will begin to flow. BE- Within this flow of intuition, your Inner Wise Woman will guide you on the steps to BEcoming the Intuitive Wise Woman within your own life. How Are Intuitive Messages From Your Inner Wise Woman Provided? Intuitive Messages From Your Inner Wise Woman are conveniently provided as a 30 or 60 Minute Phone Sessions. Intuitive Messages From Your Inner Wise Woman are recorded and emailed back to you within 24 hours for the 60 Minute Session Only. Intuitive Messages From Your Inner Wise Woman are pre-paid and non-refundable. All Intuitive Messages From Your Inner Wise Woman are pre-paid with no refunds. Upon scheduling of either the Full 60 or 30 Minute Session, the client will receive an invoice from Paypal for the full amount due. Upon receipt of payment, your Intuitive Messages From Your Inner Wise Woman session will be confirmed. Intuitive Messages From Your Inner Wise Woman Sessions are confirmed only upon receipt of payment. Interested in learning more about empowering your intuition for your own personal guidance?